The city of Avon, IL is a great place to settle down and raise a family. 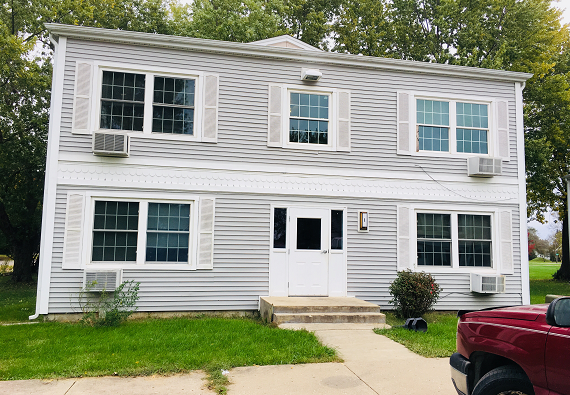 If you’re working in or near Avon, IL, know that there are great opportunities for low-income families to find apartments in Avon, IL and around the city. Prairieland Community Development owns and operates Senior Assisted Living and Affordable Housing units in Illinois, with a focus on overall community development and growth. Consequently, we take great pride in our Property Management Services, where investors can rest assured that their investments are well cared for. Plus, we manage them in accordance with the newest laws and guidelines. Let us prove to you how we can maintain the highest level of professionalism. So, come see our apartments in Avon, IL today! Here’s a look at what we offer right now. Call us to book a showing. The Avon Apartments feature 16 affordable housing units available for rent in the community. Eight units are one-bedroom apartments, and eight are two-bedroom apartments. The Avon Apartments are located in the Abingdon-Avon school district #276. Rent amounts depend on family size, composition and income. Plus, we encourage low and no income individuals and families to apply! All tenants must pay their own electric bill. But the complex will pay for water and sewage. Also, there is a dumpster on site for all residents. Consequently, the Avon Apartments are an equal opportunity provider and employer, and they follow USDA Rural Development Regulations. Finally, each apartment comes with a stove and refrigerator. Prairieland Community Development management provides all building, apartment and yard maintenance. For more information on apartments in Avon, IL, contact Prairieland Community Development at 309-210-0111. Also, you will find us at 1002 E. Laurel Ave, Havana, IL for your convenience. In conclusion, please call us today to inquire about the above apartments. Are you a Current Tenant? Click the button below to fill out a Current Tenant Work Order! For emergencies after hours, please call the office at 309-210-0111. Sign Up to Receive Our Bi-Monthly Newsletter!